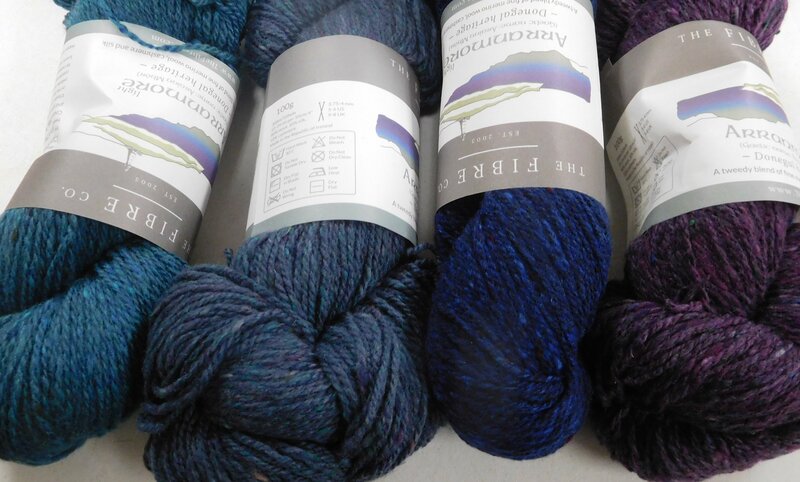 This newest yarn from The Fiber Co is a lighter gauge version of the popular Arranmore that they launched in 2016. This "light" version features an even more expanded color range making it a great choice if you want to knit some fun, multi color hats and mittens. 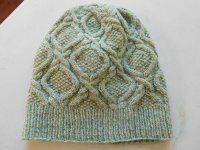 I have several patterns to support it, including a 3 color hat/mitten set (see mitten pictured below) , a great simple pullover (Bibbe), a cabled hat (see below) and shawl with a simple lace edge that is knit on a US 9! 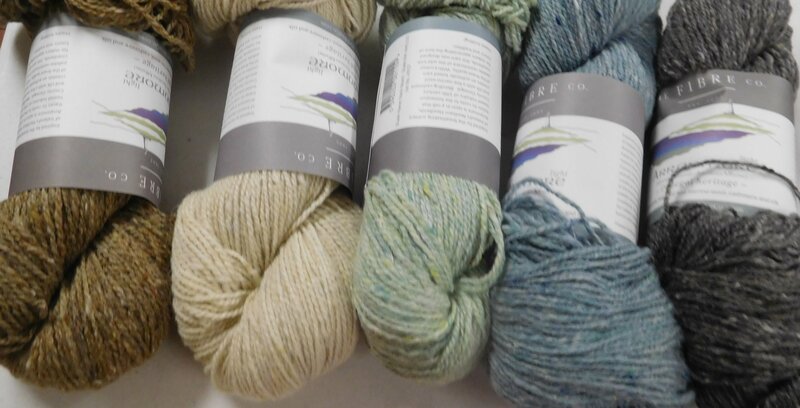 I also found some interesting patterns online that would be perfect for it and I'm in the process of trying to figure out which one to knit for a store model - Vitamin D, Aileas, Princess Fiona, ...and a part of me wants to just wind one skein of each color and play! 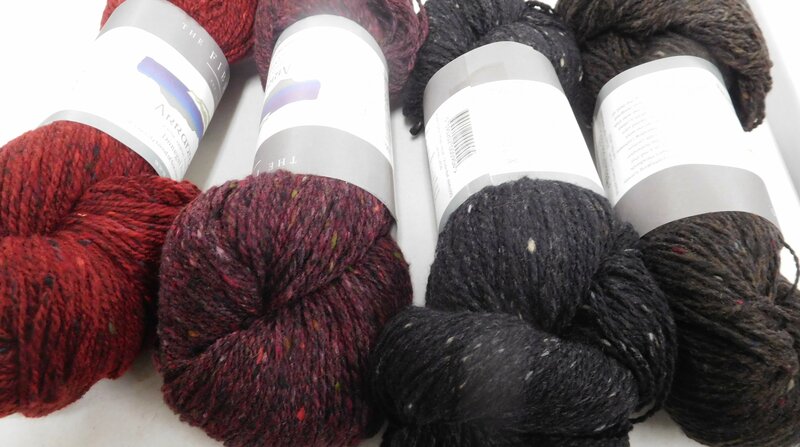 Each skein features a whopping 328 yards per skein. I finished a sweater (detail in kelly green shown below) last week using this yarn and the feel and drape of it are beautiful! 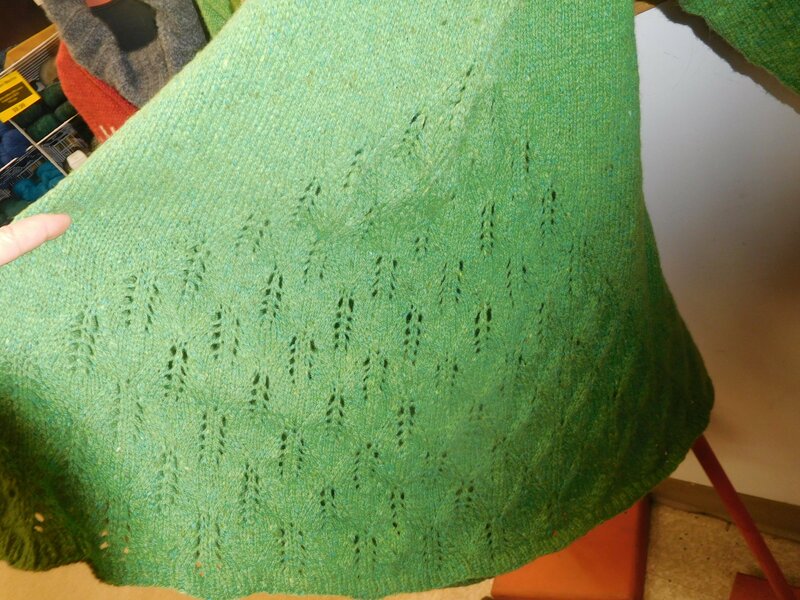 The pattern is Princess Fiona (from Ravelry) and I used 4.75 skeins - BUT I wanted I sweater I could wear over leggings and be really comfy in so I went up 2" bigger than I usually would in the chest and I knit it 2 repeats longer in length . 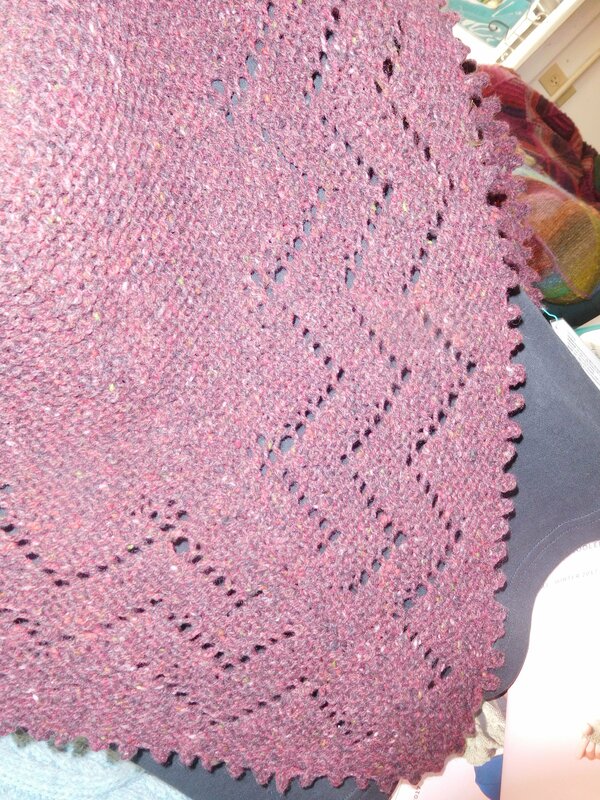 And since it is an A-line (knit from the top down and it gets bigger around the hips) it is 52" around the bottom circumference and 46" at the chest (usually, I'd knit a 42-44 for myself). 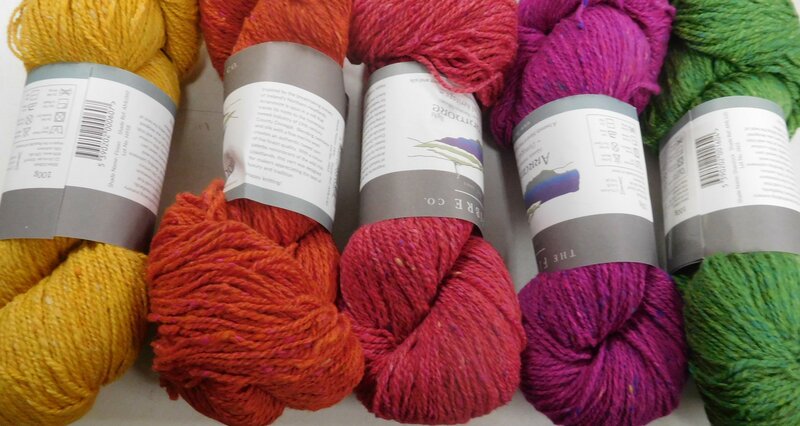 Suggested at a gauge of 22 - 24 sts/inch on US 5-6, it is an 80% wool, 10% each of cashmere and silk. The lovely tweediness of the yarn adds depth to even the simplest of stocknette stitch garments!